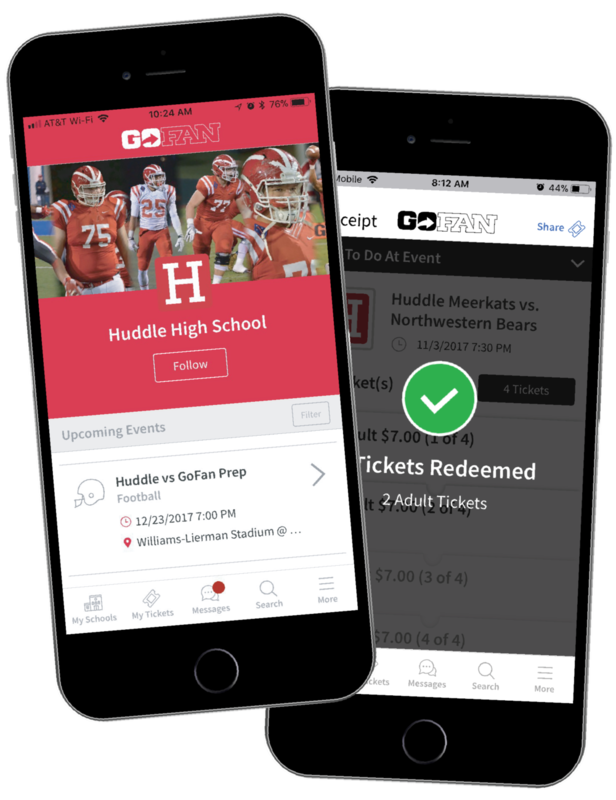 Huddle Tickets has partnered with high schools since 2001. 10,000 high schools served, keeping $30 million in schools' pockets. Free paper event tickets sponsored by national, regional, and local brands to help your school save money on tickets. GoFan is a complete digital ticketing solution. Trusted by over 1,000 high schools. Free, easy digital ticketing solution providing your school with simple validation, faster gates, and 100% of ticket revenue. GoFan Mobile Pass eliminates plastic cards. It's Digital and easy to use. Free mobile passes for your school includes digital distribution, no lost cards, and you can sell all year.